Sometimes the issue with your pain doesn’t rely simply with muscle pain in the back. The bone structure that holds us up is in charge of keeping more than itself healthy, it protects the whole body. Your back pain sometimes in turn isn’t always as simple as a quick fix. 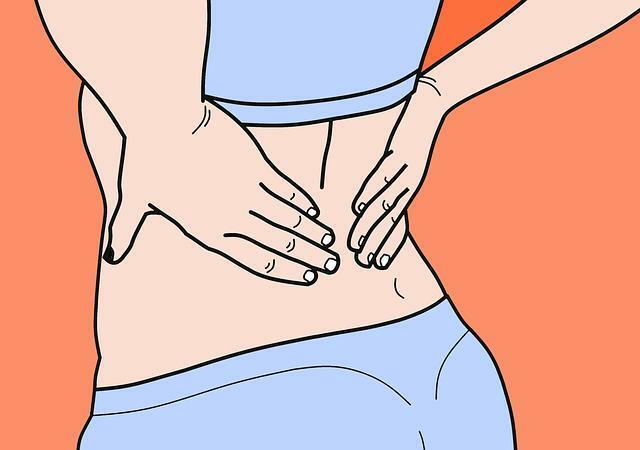 For example a common symptom with kidney problems tends to be just that, back pain. When it comes to kidneys like the back it can mean a variety of things, this is why its important to explain your symptoms to the doctor in detail. UTI (urinary tract infection): when a UTI reaches the kidneys can cause upper back and side pain that can include fever, chills, and vomiting as well as other symptoms attributed with UTI’s. Kidney stones: Like above similar symptoms are going to occur with accompanied back pain as well as side pain. Along with the common urge to urinate, red/pink urine, and a fever. To tell the difference between a UTI and kidney stones is that as the stones passes along so will the pain, it move from the groin to abdomen as the stones pass. Kidney Cancer: Loss of appetite, weight loss, fatigue partnered with back pain could indicate this disease or a less serious issue please see a doctor if symptoms arise as such. It is important to know where the pain is coming from in order to properly treat it. Kidney pain will be sharp and dull aching in the flank of your back. If you are unfamiliar with this location that would be between the ribcage and hips on either side of the spine, sometimes the pain will go further down to the inner thigh/lower abdomen but not usually. Unlike back pain kidney pain does not change with an adjustment the problem has to be fully corrected in order to heal properly. Now do realize 99% of the low back pain cases that present in our clinic in Plainfield, are simply just low back pains but its always better to be safe then sorry so come in and your Chiropractor can examine the cause of your low back pains. As always if you enjoy our blogs check out our www.plainfieldchiroandrehab.com weekly to see whats new.